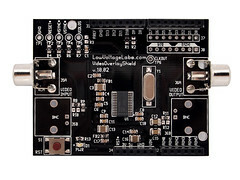 The Arduino compatible shield board overlays text on analog video, using the Maxim MAX7456 on-screen display chip. 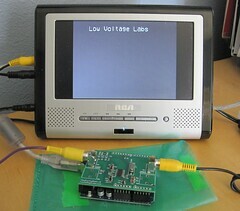 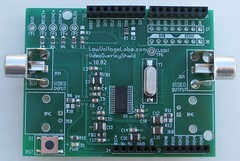 This board allows easy overlay of text onto an analog video signal, NTSC or PAL. 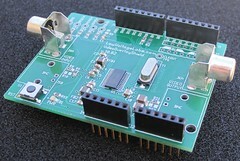 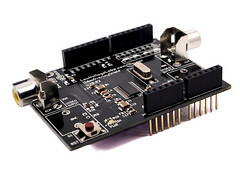 Connect this board to your favorite Arduino processor board to get started.